Another week has come and gone, and it's time for Week 3 of Calling It Home's One Room Challenge Linkup. If you're just joining in, you can view weeks one and two of my bathroom reno here and here. I had big plans for this week, but that didn't really happen. I was hoping to get the walls prepped for paint, and maybe start on the painting too, but we're still hung up on the prepping the walls part. I love a house project where I can see the immediate transformation, and prepping walls for painting is not that whatsoever. Patching white walls with white putty is about as boring as it gets, and that's why I've been putting it off for several days. 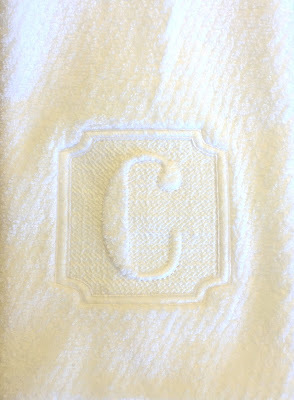 I did however purchase some new towels for the room which is exciting. One of my good friends Elizabeth has a custom pillow and embroidery business, so I hit her up for anything I need monogrammed. She has a great eye for this kind of stuff. I usually just tell her what letters I want, and she goes to town. You can visit Elizabeth's shop here. 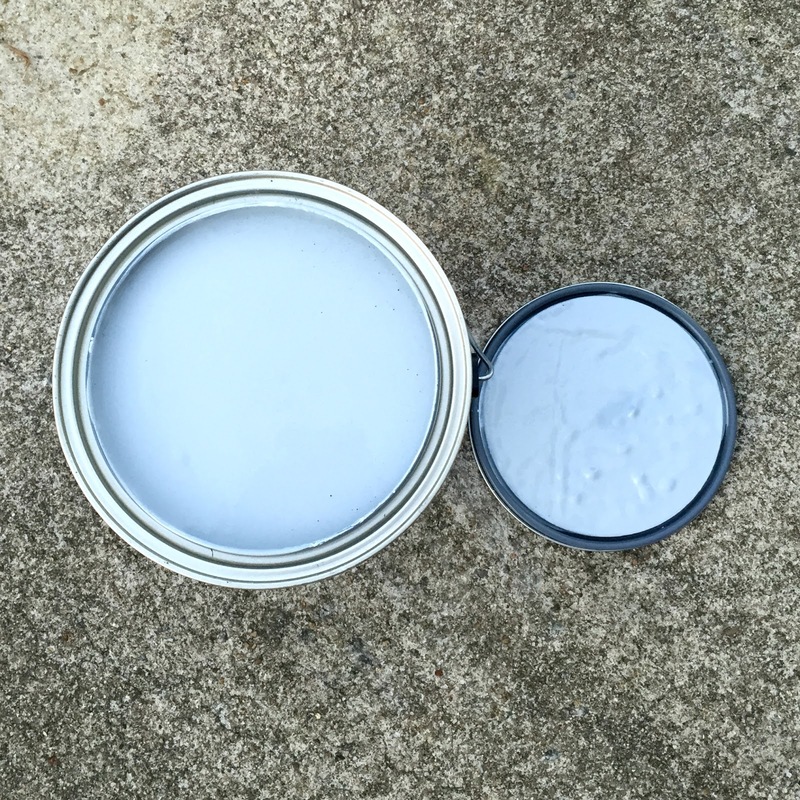 I also picked up the paint that we'll be using. 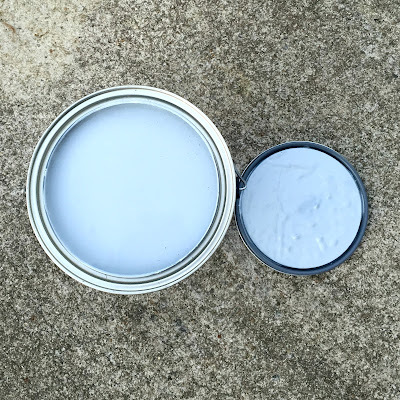 I had Lowes do a paint match with Ben Moore's Solitude, and I can't wait to get it on the walls. Here's what it looks like. And I bought this new shower curtain rod as well. I know, super exciting, right? And that's it for this week! I hope to have some more interesting updates for next week. Oh, I just got some major towel envy! those are gorgeous. I might have to have some made for my bathroom!